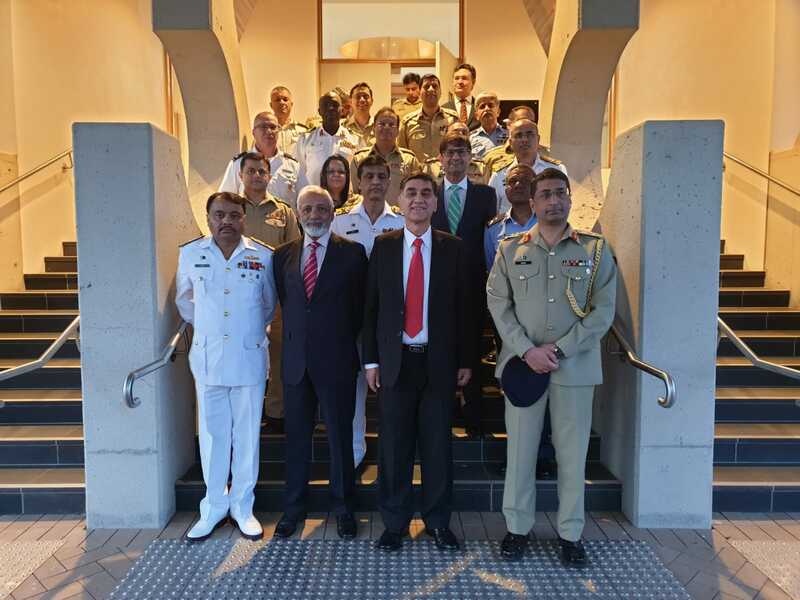 The Foreign Study Tour of the National Defence University of Pakistan, Course 2018-19, is currently visiting Australia from 15-20 April 2019. 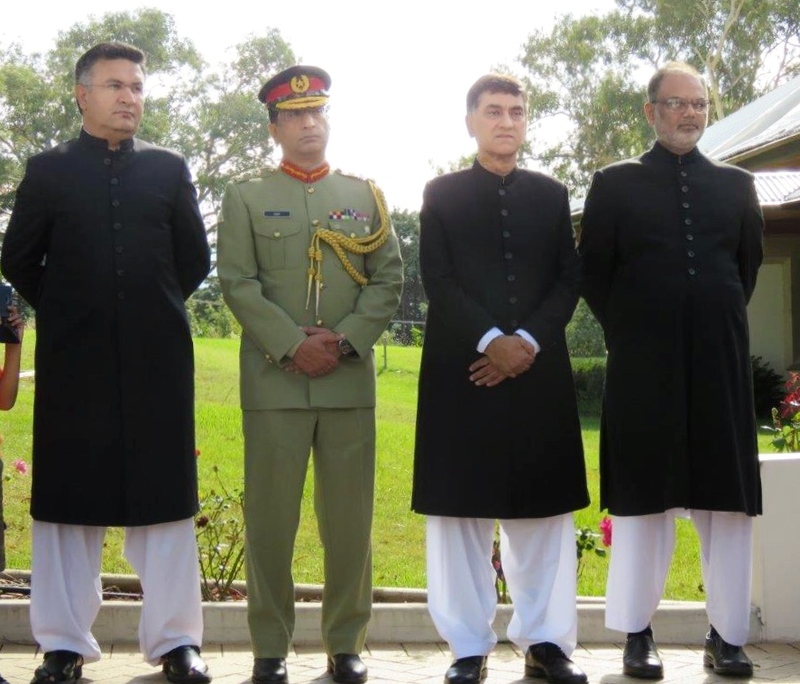 The participants comprising of Officers from the Armed Forces of Pakistan, Allied Forces from friendly countries and Pakistan Civil Services visited the High Commission of Pakistan for briefing on 15 April 2019. The Study Group would also have meetings and briefing at a number of Australian Defence, Foreign Affairs Institutions and Think Tanks. 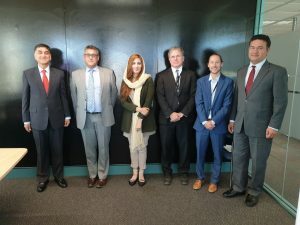 The Minister of State for Climate Change, Ms. Zartaj Gul visits Canberra. 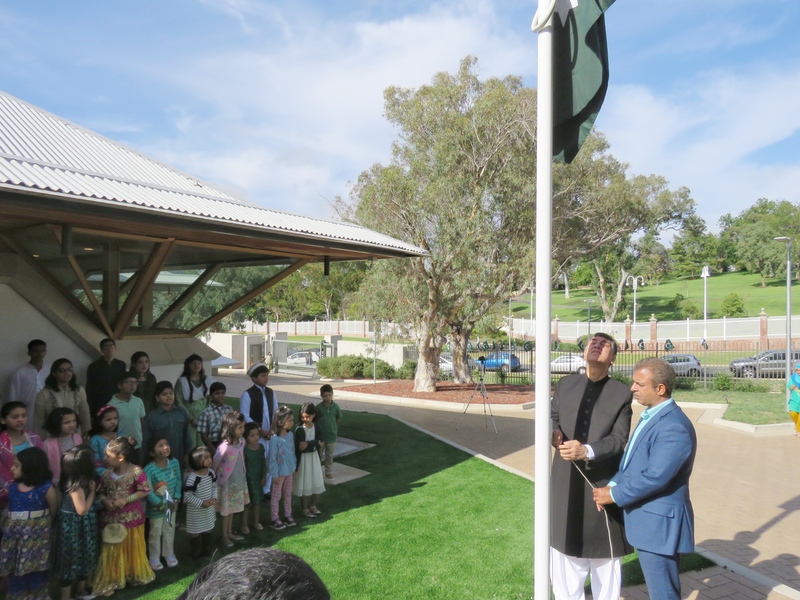 A simple but dignified flag hoisting ceremony was held at the High commission for Pakistan, Canberra tomark Pakistan Day. The ceremony commenced with recitation from the Holy Quran, followed by playing of national anthem which was also sung along by children. The High Commissioner offered heartfelt condolences over the loss of precious lives, including 9 Pakistani citizens, in the horrific terrorist attack in Christchurch. He appreciated the people of New Zealand and Australia for reaching out to the Muslims community to bring succour in anxiety and pain caused by the attack. The High Commissioner expressed satisfaction over the status of bilateral cooperation. The event was very well attended by a large number of community members from Canberra, Sydney; training defence forces officers attending courses here. 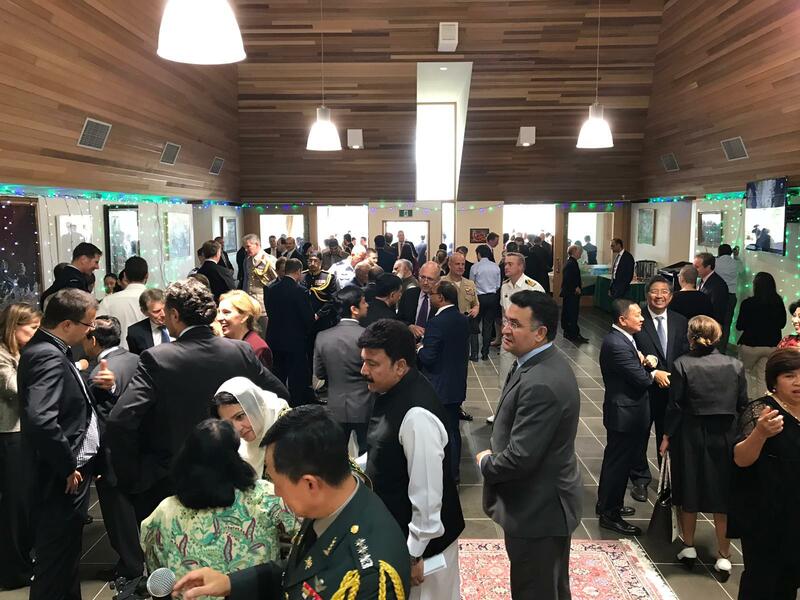 To mark the auspicious occasion of Pakistan Day, a reception was hosted at the High Commission for Pakistan, Canberra today. High Commissioner Babar Amin, senior officials of the Embassy alongwith their spouses greeted the guests. The reception was a very well attended event in which a large number of members of Diplomatic Corps, Parliamentarians, Officials from the Department of Foreign Affairs and Trade, other high ranking Australian government officials, senior officers from the Australian Armed Forces, local intelligentsia, media representatives and dignitaries participated. The High Commissioner lauded the close, cordial and mutually beneficial bilateral relations between Pakistan and Australia. The two countries he said, maintained a comprehensive partnership in the fields of socio-economic development, agriculture, health, education, defence, security and development assistance. The High Commissioner also highlighted the people-centric development, justice, employment generation and better opporitunities for the deprived to be among the top priorities of the Government. He stated that Pakistan was poised to become a regional economic power as economists regard it to be the catalyst for the future regional economic integration and development. The High Commissioner offered heartfelt condolences over the loss of precisous lives, including 9 Pakistani citizens, in the horrific terrorist attack in Christchurch. 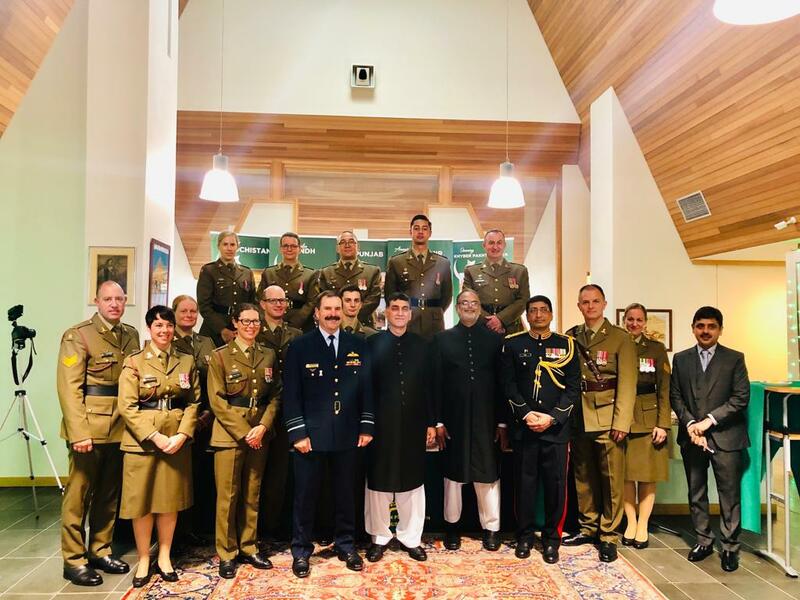 He appreciated the people of New Zealand and Australian for reaching out to the Muslims community to bring succour in anxiety and pain caused by the attack. 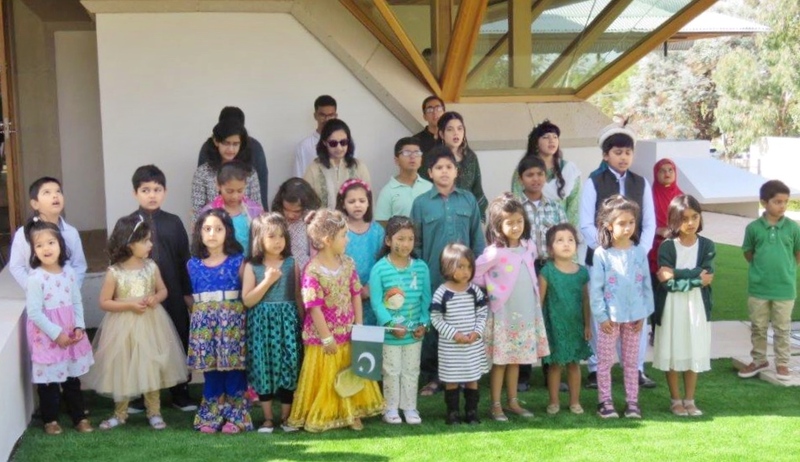 The Australian Military Band played the national anthems of Pakistan and Australia, while the children sang along in chorus. 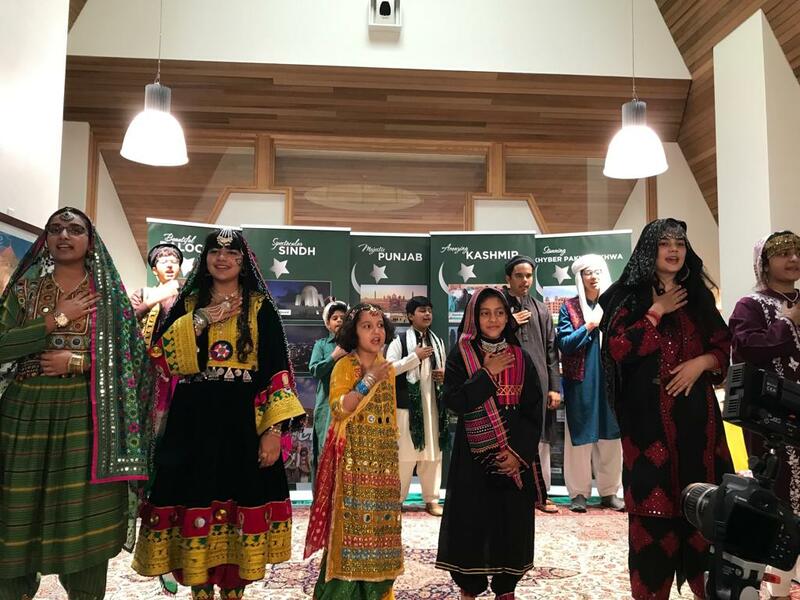 Later the children attired in dresses depicting various regions of Pakistan presented tableaus on folk and national songs, which, was highly commended by the guests. On the auspicious occasion of Pakistan Day, I wish to convey my heartiest greetings, to the Pakistan community members in Australia, Fiji, Papua New Guinea, Solomon Island and Vanuatu. Pakistan today is a fast emerging economy. Its youthful population, an assertive middle class and a vibrant civil society are making their presence felt in every sphere. Pakistan is becoming a catalyst for regional development through reform, people centric development and enhanced connectivity leading to regional integration. In accordance with the vision of Quaid-e-Azam Muhammad Ali Jinnah Pakistan’s Foreign Policy strives to live peacefully with our immediate neighbours and with the world at large. The restraint displayed by our leadership despite the enormous provocation recently is reflective of our desire to have pacific resolutions of all the disputes including settlement of the core issue of Jammu and Kashmir. We have at the same time displayed complete resolve and capability to defend our sovereignty and territorial integrity. Pakistan has suffered heavily from the menace of terrorism. Pakistan condemns terrorism in all its forms and manifestations. We lost valuable lives of our citizens in the terrorist attack in Christchurch. The people and Government of Pakistan have expressed solidarity with the people and Government of New Zealand, the bereaved families and appreciated the humane compassion and respect displayed towards the Muslims in the aftermath. We also thank the Australian people who reached out to the Muslims providing succour in anxiety and pain caused by this horrific act of terrorism. The most sustaining link between Pakistan and Australia is provided by the Pakistan Diaspora here. I am happy to say that our community has been positively contributing to the development of Australia through its integrative initiatives and hard work which makes us all very proud. It was the community from areas now in Pakistan that had in 1860s and onwards helped open Australia’s outback by laying telegraphic and railway lines. People to people contacts, educational links with over 13,000 Pakistani students in Australia, and our common passion for cricket bring us even closer. I would once again like to take this opportunity to convey my profound appreciation to all the members of Pakistani community and wishing them a very happy Pakistan Day. The Pro Vice-Chancellor of International Macquarie University, Ms. Nicole Brigg called on Mr. Babar Amin, the High Commissioner for Pakistan in his office today. 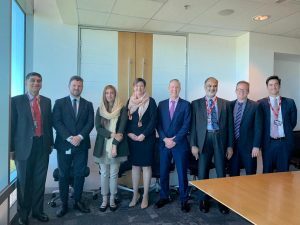 The High Commissioner lauded the commendable academic cooperation that exists between Pakistan and Australia and especially with Macquarie University. He added that Pakistan and Australia have developed a long-term partnership in higher education which provides an excellent opportunity for collaboration in research and short and long-term training programmes for capacity building. The High Commissioner further informed that Pakistan has over 13,000 students studying in Australia including Higher Education Commission (HEC) scholars and Australian Award recipients. 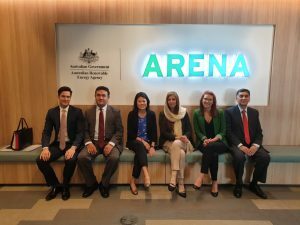 These students have been contributing to the progress of Australia and Pakistan in a tremendous way and are a significant link between the two countries. He encouraged the Vice-Chancellor to start the student exchange programme with leading universities in Pakistan. Expressing interest in Macquarie University’s counter terrorism and capacity building courses for police force, the High Commissioner stated this would be another area of future collaboration. The police force and counter-terrorism forces in Pakistan were doing a lot to curb terrorism and menace of money laundering and terror financing. The two sides can share their experiences and can learn from each other. The Pro Vice-Chancellor briefed about different aspects of research and education at the University’s campus. She said that there are ample joint research opportunities with Pakistan in different fields and that her University would like to build long-term relations with different universities in Pakistan for the common benefit. She added that during her forthcoming visit to Pakistan, she would focus on exploring the possibility of joint research and collaboration with medical colleges in Pakistan and also initiating the students’ exchange programme with universities in Pakistan. The Pro Vice-Chancellor remarked that Pakistan has an excellent profile of quality of students studying in Australia and that the Macquarie University would like to contribute to and build upon the Colombo Plan as well. She assured the High Commissioner to work further on running short-courses for the public servants from Pakistan in the fields of counter-terrorism and capacity building of the police force. The Pro Vice-Chancellor invited the High Commissioner to visit the University at his convenience which the High Commissioner accepted with thanks. 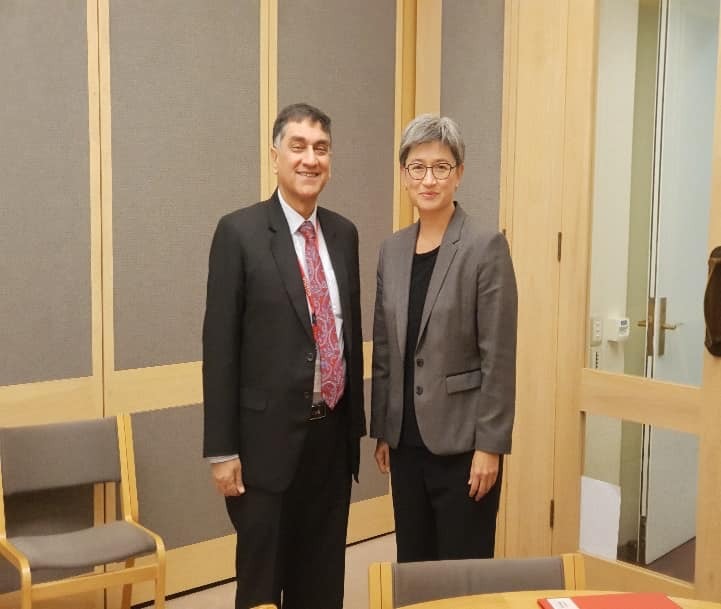 High Commissioner, Babar Amin met with the Shadow Foreign Minister Senator Honourable Penny Wong in her Parliament Office and briefed her on various areas of bilateral and multilateral cooperation between Pakistan and Australia. A particular focus of discussion was the enhancement of trade and economic relations between the two countries. In this regard the High Commissioner elaborated the multiple investment opportunities existing in Pakistan along with the incentives offered to FDI. Senator Wong expressed interest to know about Pakistan’s experience with CPEC and investment opportunity for third countries in its projects. The High Commissioner provided the requisite information to her. 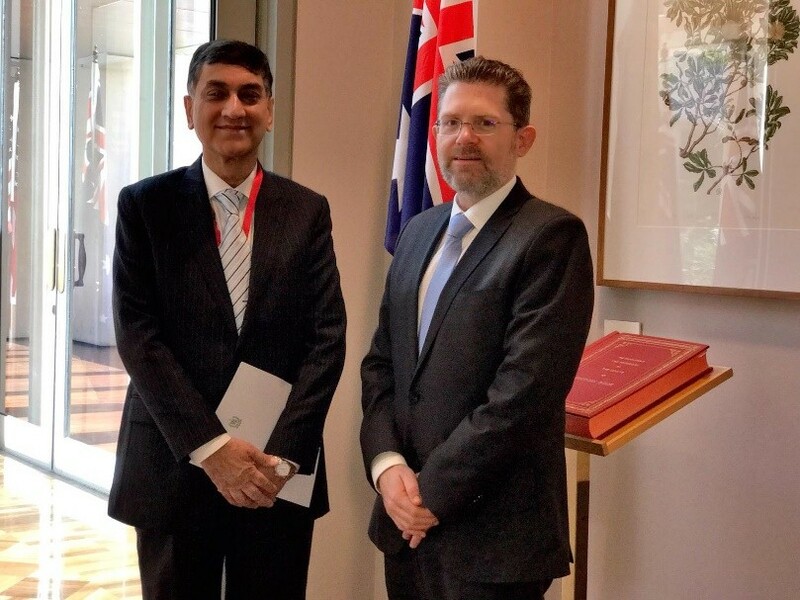 While referring to the centrality of human rights issues in the Labor Party’s Vision, the High Commissioner sensitized Senator Wong on the OHCHR’s Report on human rights violations in the Indian Occupied Kashmir. He expressed the hope that Australia and Pakistan, being members of the Human Rights Council, would work together to support the recommendations contained in the Report, especially on constituting an Independent Commission of Inquiry to investigate the human rights’ abuse. Senator Penny Wong thanked the High Commissioner for bringing the issue to her notice, which she would further look into. 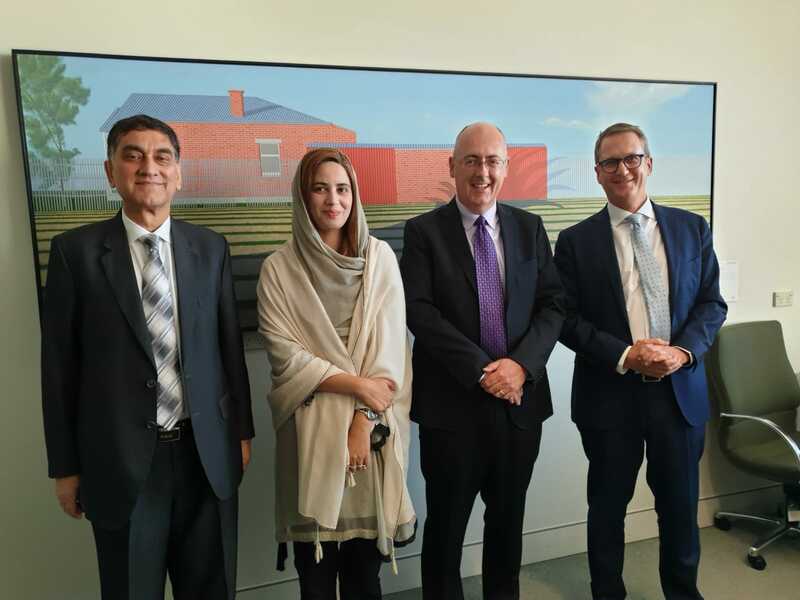 The High Commissioner also underscored the constructive role being played by the Pakistani diaspora in the socio-economic and political environment in Australia. Senator Penny Wong acknowledged this fact and appreciated the contributions of the Pakistani expatriates. Senator Wong expressed satisfaction at the close friendly bilateral relations between Australia and Pakistan and appreciated Pakistan High Commission’s efforts in further strengthening the existing ties. 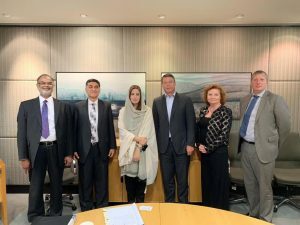 She conveyed Labor Party’s intensions to develop further close and good rapport with Pakistan, stating that Prime Minister Imran Khan enjoys good stature and is held in high esteem in Australia. 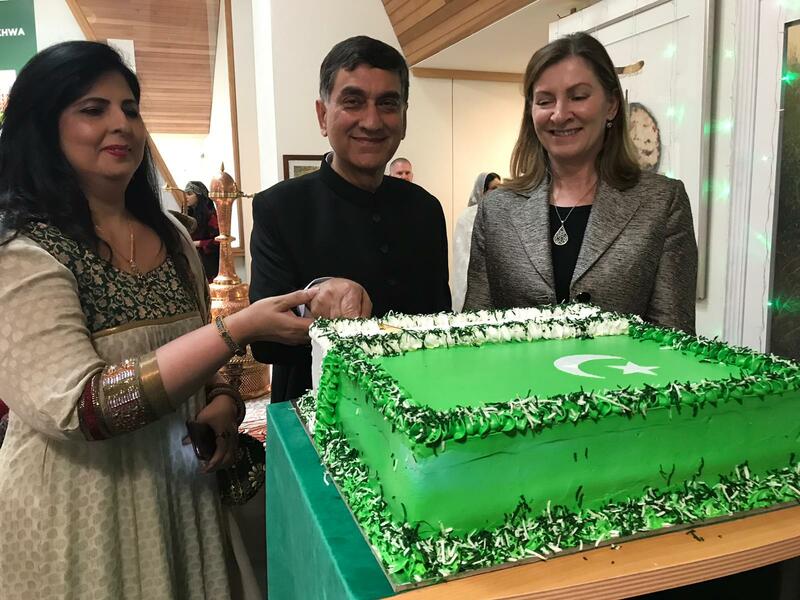 Kashmir Solidarity Day was commemorated at the High Commission for Pakistan Canberra with the usual fervor and enthusiasm. Members of Pakistani and Kashmiri community along with a sizeable number of diplomats, journalists, scholars and intellectuals also attended the event. Prominent speakers included former Senator Lee Rhiannon and Dr. Ali Sarfaraz. Ms. Lee Rhiannon in her remarks informed about her recent participation in the Kashmir Solidarity Day International Conference in London organized by UK’s All Parties Parliamentary Kashmir Group (APPKG). The Conference held in the Westminster, Parliament House, she said, had wide representation including from the House of Commons, House of Lords and European Parliament. The Conference, she added, It called for the implementation of the UN Resolutions on Kashmir and formation of an Independent Commission of Inquiry to probe the human rights abuses in Kashmir as recommended by the Office of the High Commissioner for Human Rights (OHCHR). Ms. Rhiannon lamented the indifference of the international community and called for an immediate end to the crimes against humanity that the Kashmiris are made to suffer. Dr. Ali Sarfaraz while highlighting the human rights violations and abuses by the state apparatus in the Indian Occupied Kashmir, emphasized immediate resolution of the Kashmir dispute in accordance with the UNSC resolutions and the wishes of the people of Kashmir. 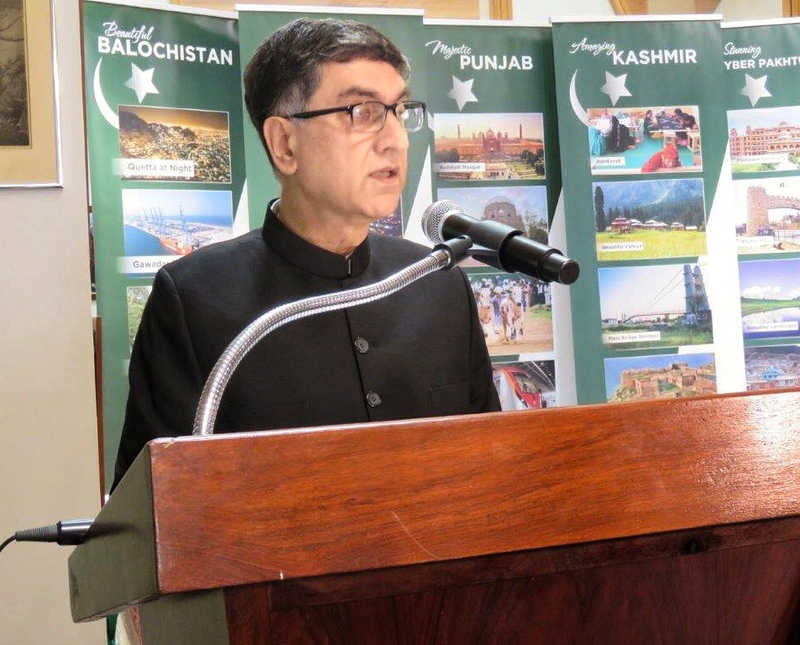 High Commissioner Babar Amin thanked the participants, and speakers for voicing their frank observations of the situation in the Indian Occupied Kashmir. In his remarks, the High Commissioner underscored the gravity of the human rights situation in Kashmir stressing that the international community needs to mobilize for the just settlement of this longstanding dispute. He also highlighted to the Reports of the OHCHR, APPKG, Westminster Conference and human rights organizations such as Amnesty International and Human Rights Watch, which, have drawn attention towards the grave human rights violations and in IOK. Messages of the President and Prime Minister of Pakistan were read out to the participants. Brochure about the genesis of Kashmir dispute and human rights abuses were also distributed, while videos on Kashmir were also screened. Children presented tableau performances reflecting the Kashmiri culture. A photographic exhibition highlighting the atrocities being perpetrated against innocent Kashmiris was also organized. The participants were served with Kashmiri cuisine. 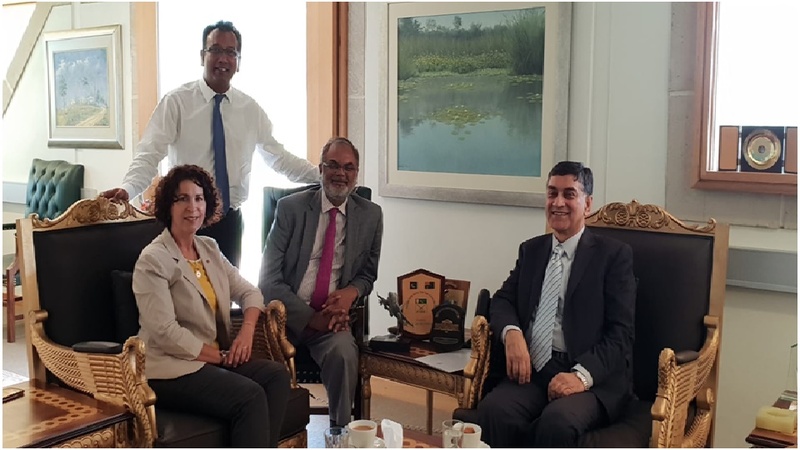 The High Commissioner for Pakistan, Mr. Babar Amin held meetings with Mr. Chris Rodwell, CEO, Chambers of Commerce and Industry as well as Senior Executives Ms. Bronwyn Bell and Ms. Caroline Cherry of the Chambers of Minerals & Energy of Western Australia. Matters related to trade, investment, training of work force, collaboration and holding of Open House for showcasing business and investment opportunities in Pakistan were discussed. The High Commissioner expressed satisfaction over the upward trajectory of Pakistan-Australia relations. He added that the economic and bilateral trade component of bilateral relations did not commensurate with the existing potential. The High Commissioner emphasized that Pakistan would like to see improvement of bilateral trade, which would benefit people of both the countries. The High Commissioner said that Pakistan would welcome joint ventures by Western Australian companies in engineering, mining, agriculture, energy, Nano-bio-technology, paramedical, nursing and allied health sectors. He also conveyed the interest of Pakistani businessmen in joint ventures especially in processing of Halal meat in Pakistan for export to the Middle East. He invited the Chambers to send trade delegations from Western Australia, which would significantly boost the trade ties. 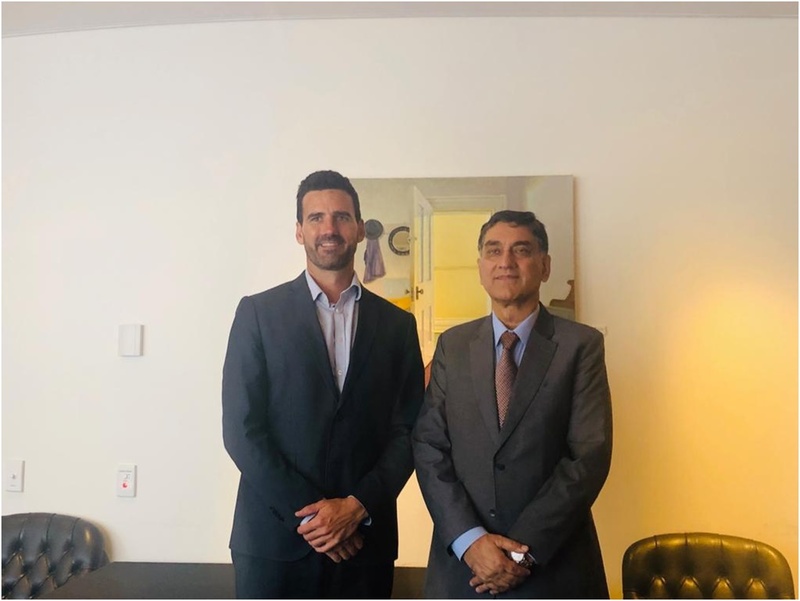 Mr. Chris Rodwell gave a detailed briefing about the working of the Chambers of Commerce and Industry of Western Australia and welcomed the proposal for signing of an MOU between Chambers of Commerce of Western Australia and a Pakistani Chamber of Commerce. He also appreciated the interest of Sialkot Chamber of Commerce & Industry for sending a delegation to Western Australia to explore possibilities of trade in sports goods, surgical items, saddle and other items used in horse rearing and leather garments. During High Commissioner’s meeting with Ms. Bronwyn Bell and Ms. Caroline Cherry, Pakistan’s interest in attracting Australian investment in Special Economic Zones along the CPEC and development of mineral and mining industry as well as gas, oil and infrastructure projects were discussed. The High Commissioner mentioned that an MOU was signed for mutually beneficial cooperation in Technical and Vocational Training (TVET) in 2017. In this regard, the Australian mining companies are welcome to join hand with TAFE, High Commission and Curtin University for training of Pakistani work force in mining skills and technology. Ms. Bronwyn Bell and Ms. Caroline Cherry assured that the Chambers of Minerals & Energy of Western Australia would pass the information about holding of Open House by the High Commission to the business houses and members of the Chamber. 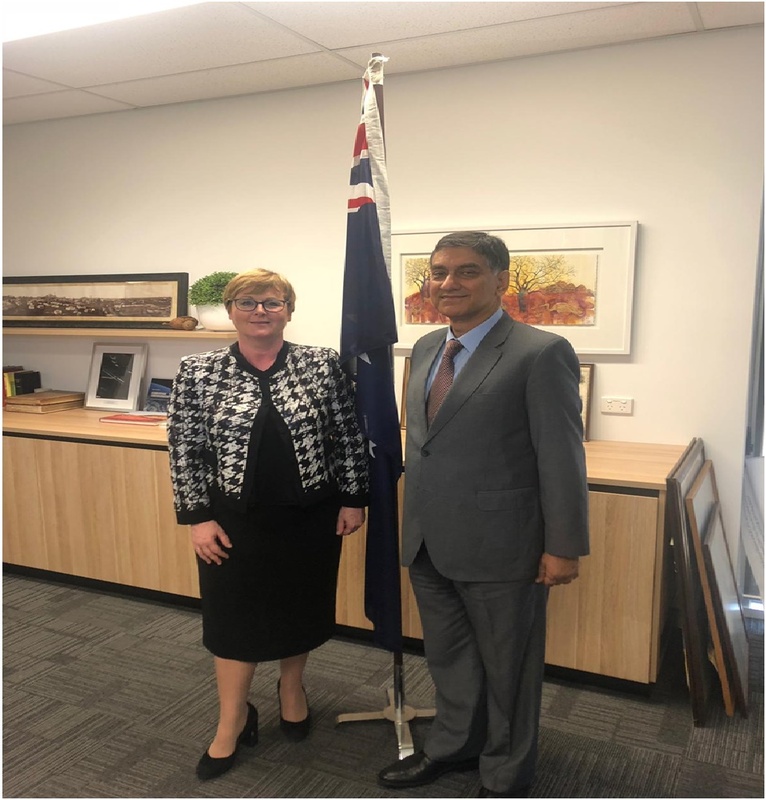 The High Commissioner for Pakistan, Mr. Babar Amin held a meeting with Senator the Hon Linda Reynold, Assistant Minister for Home Affairs in Perth. He exchanged views on bilateral matters and expressed satisfaction at the historically friendly relations between Pakistan and Australia. He hoped that improvement in Pakistan-Australia relations in all spheres including Parliamentary and people-to-people contacts. Mr. Babar Amin highlighted the business and investment opportunities for the Australian companies in Pakistan, particularly in the Special Economic Zones around China-Pakistan Economic Corridor (CPEC). He hoped that Australian business houses especially from Western Australia would benefit from the emerging investment opportunities in Pakistan. He thanked for the suggestion for holding an Open House in Western Australia regarding trade, investment and mining opportunities in Pakistan. 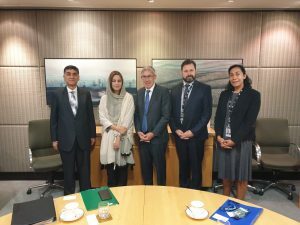 The High Commissioner briefed the Hon Assistant Minister about the incoming meeting of Pakistan-Australia Joint Working Group on Border Protection and Transnational Crime and hoped that Australia would consider the improved security situation in Pakistan and revise its Travel Advisory to Pakistan accordingly. Mr. Babar Amin invited the Hon Senator to join the Australia-Pakistan Parliamentary Friendship Group to strengthen the linkages between the Australian and Pakistani Parliaments, which she had graciously agreed. The Hon Senator recalled her first visit to Pakistan last year and hoped similar visits in future. 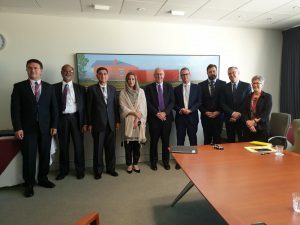 She also pointed out that the mining and other companies of Australia could take advantage of the new business opportunities in Pakistan as it was uniquely placed to take advantage of the One Belt One Road initiative. She promised to remain engaged with the High Commission and Pakistan community for the improvement of trade & investment relations between Pakistan and Western Australia. 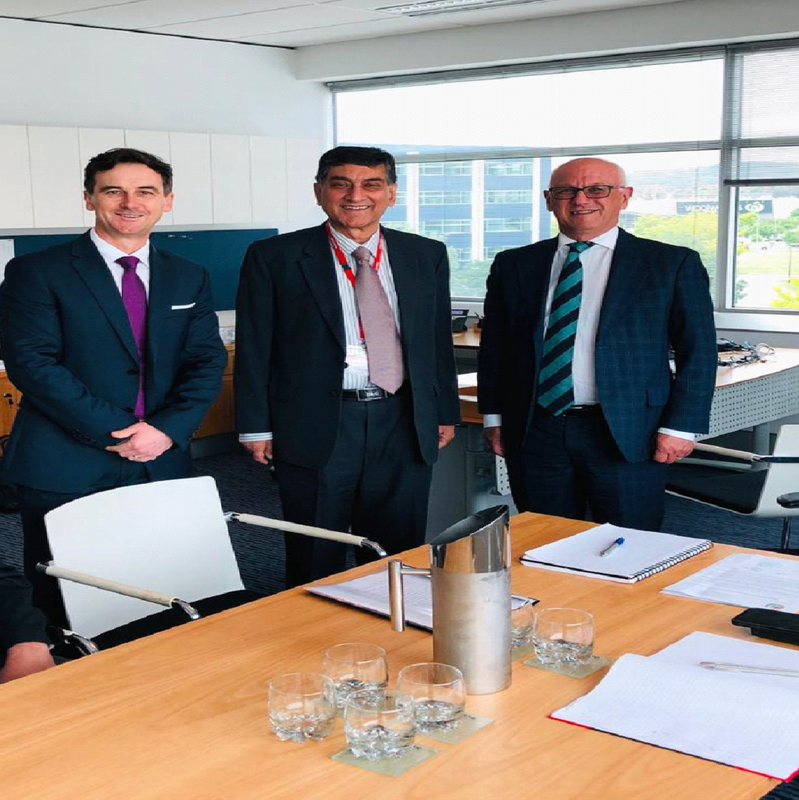 She also appreciated High Commissioner’s meeting with Vice Chancellor of the Curtin University for exploring training opportunities and joint ventures with Pakistani universities and institutions. 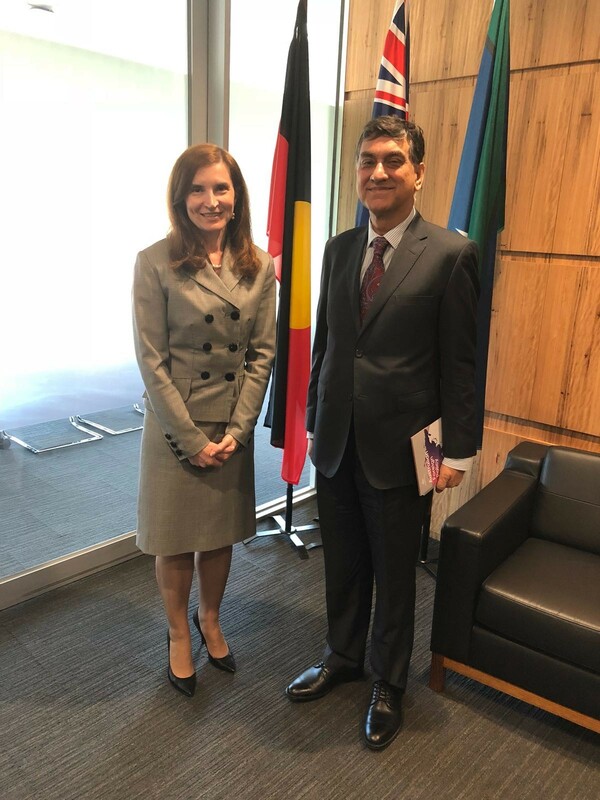 The High Commissioner for Pakistan, Mr. Babar Amin held a meeting with Professor Deborah Terry, Vice Chancellor of the Curtin University at Perth. The High Commissioner mentioned that Pakistan and Australia enjoyed deep rooted relations. He stated that Australia was the third most favoured destination of Pakistani students as around 13,000 Pakistani students were currently enrolled in Australia. Most of the Pakistani students were self-financing scholars who had paid around 660 million dollars as tuition and other fee to the Australian Universities and Institutions last year. The High Commissioner further stated that Pakistan was currently sponsoring more than 100 students and scholars for their master’s and Ph.D degrees in Australia by providing them stipends and health insurance coverage etc. The Vice Chancellor appreciated the High Commissioner for visiting Curtin University. She stated that Joint collaborative and research activities in agriculture, mining, engineering and science technology with Pakistani universities and institutions could be planned. She accepted the invitation to visit Pakistan and take a delegation for exploring various opportunities of cooperation including faculty and student exchanges and joint Ph.D programs. She hoped that Curtin and Pakistani Universities could jointly work to benefit from global research opportunities as well. 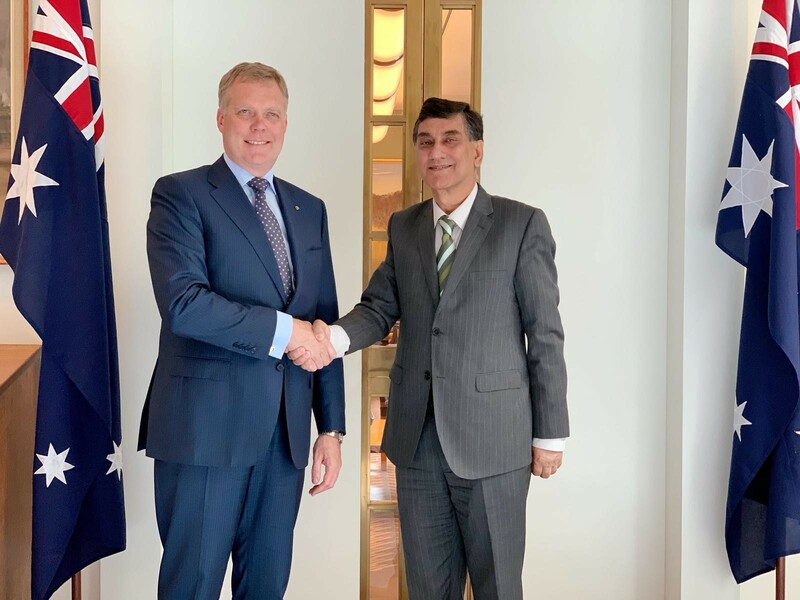 High Commissioner for Pakistan Babar Amin met Mr. Philip Pigou, Chief Executive Officer of Australian Medical Council (AMC), today, to discuss establishing its examination centres in Pakistan. The High Commissioner informed the CEO, AMC, about Pakistan’s medical education system that has produced medical professionals of international standards, who were serving with great dedication and distinction all over the world including USA, UK, Canada and Australia. He highlighted that the unavailability of AMC’s Examination Centres for foreign medical graduates, in Pakistan, however, deprived most of Pakistani doctors the opportunity to appear for the Australian Exam. The High Commissioner proposed to the AMC to establish its examination centres in Pakistan taking into consideration Pakistan’s population of 207 million and its large pool of qualified and able doctors. He assured the CEO that the High Commission would facilitate AMC in this endeavour. Mr. Philip Pigou, CEO, AMC stated that his office would certainly explore the possibility of conducting MCQS (Part-I) of AMC Exam, in Pakistan, through its partner agency. He agreed to discuss the matter further after doing some more background work by the AMC. 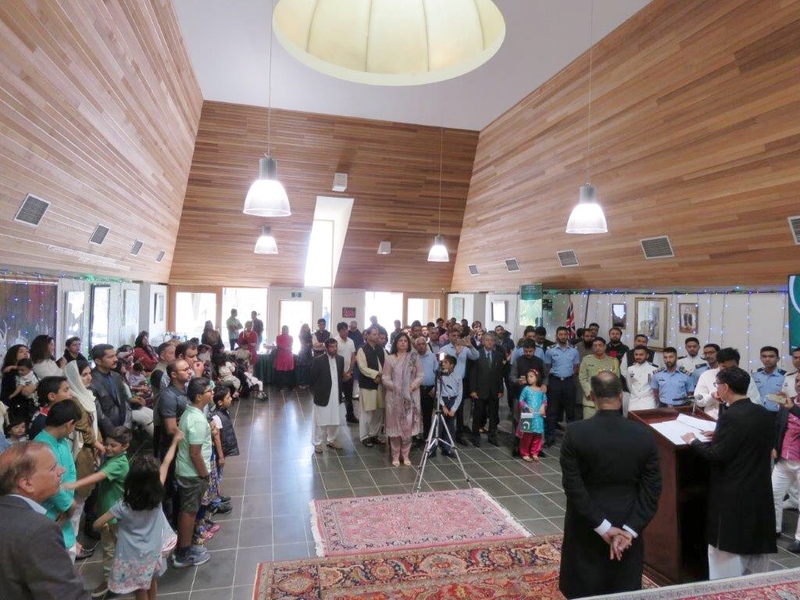 A ceremony was organised at the Pakistan High Commission, Canberra to celebrate the return of a statue of Buddha. The statue was in the possession of Ms. Romy Dingle, an Australian citizen whose mother was a collector of artefacts and had brought it to Australia from Pakistan in the early 1970s. The family now wished to gift it to Pakistan, the place where it belonged. The event was attended by guests from the civil society, academia, diplomatic corps and media. 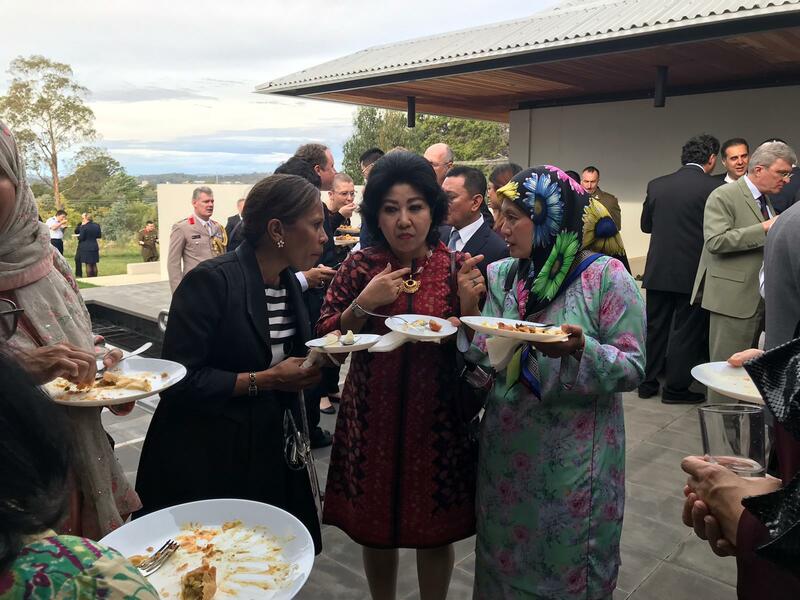 The Shadow Minister for Families, Youth, Community Services, and Multicultural Affairs, Ms. Elizabeth Kikkert MLA in the ACT Legislative Assembly also attended. Speaking on the occasion Ms. Romy Dingle said that, she is delighted to facilitate and return the piece of history as it has now been returned to its rightful place to be celebrated and protected in a befitting manner. She added that, today’s event is an excellent example of the results that can come with close cooperation between individuals from civil society and government institution to preserve and celebrate art. In his remarks, High Commissioner for Pakistan, Mr. Babar Amin said that the statue was an important element of the cultural history and heritage of Pakistan and was so much more than a piece of property. While giving a genesis of the Gandhara civilization, he added that Gandhara was an ancient kingdom in the modern-day North of Pakistan spreading from Peshawar to the Swat valley, and Pothohar plateau region of Pakistan. As a centre of Buddhism, Gandhara attained its height from the 1st century to the 5th century under the Kushan Kings and contributed immensely in the spheres of painting, sculpture, coins, pottery and all the associated elements of an artistic tradition. Taxila was its seat of learning which hosted the famous Jaulian University one of the first in the world. People from all over the area and neighbouring regions came to Gandhara not only for trade and commerce but also for learning and acquiring knowledge. 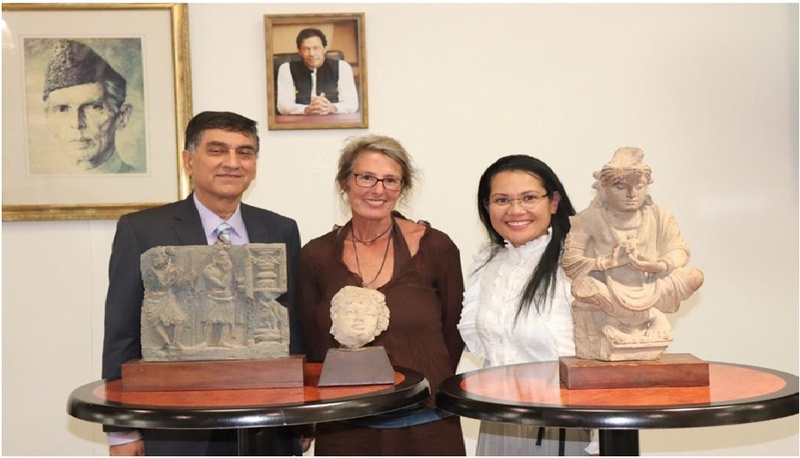 The High Commissioner termed the return of Buddha as a wonderful gesture and thanked Ms. Dingle’s family for gifting the statue which was amazing not only for its history but also for its nifty carving. He remarked that he hoped the people understood its value as it is one part of Pakistan’s history which also belonged to the entire world. 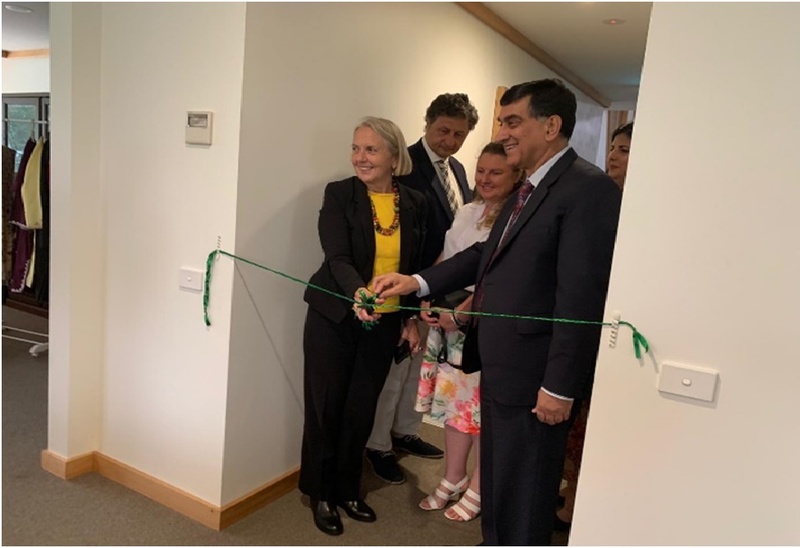 A simple but dignified ceremony was organised at the High Commission for Pakistan in Canberra to present souvenirs to Prof. Dr. John S. Biggs and Mrs. Biggs to acknowledge their services in the field of medical education, family medicine training, assessment of post-graduate education and betterment of health system in Pakistan. The Steering Committee of Family Medicine and the Vice Chancellor of University of Health Sciences, Lahore, Pakistan had decided to present Professor and Mrs. Biggs these souvenirs as a mark of gratitude for their enormous work in Pakistan. Speaking on the occasion, High Commissioner Mr. Babar Amin thanked Prof. Biggs and his spouse for their selfless and valuable services to assist the government of Pakistan in the medical field. He said that Dr. Biggs’ contributions will go a long way in enhancing medical services in Pakistan especially in the field of family medicine. He also lauded Dr. Biggs’ contributions in fostering friendly relations between the medical fraternity of Australia and Pakistan. The High Commissioner stated that Pakistani doctors were also rendering valuable services in Australia in various specialities. He added that the Australian medical institutions can further take advantage of the vast Human Resource potential of Pakistan in medical field including of doctors, paramedics and nurses. Prof. Biggs in his remarks thanked the government and High Commission for Pakistan for bestowing the honour on them. He stated that, the award is very special as it would remind them of their work aimed at illuminating people to deliver in the best possible way and therefore bring quality medical services to people. Dr. Biggs stated that he would continue to provide inputs and recommendations to the government of Pakistan in the medical, paramedical and other health care sectors. 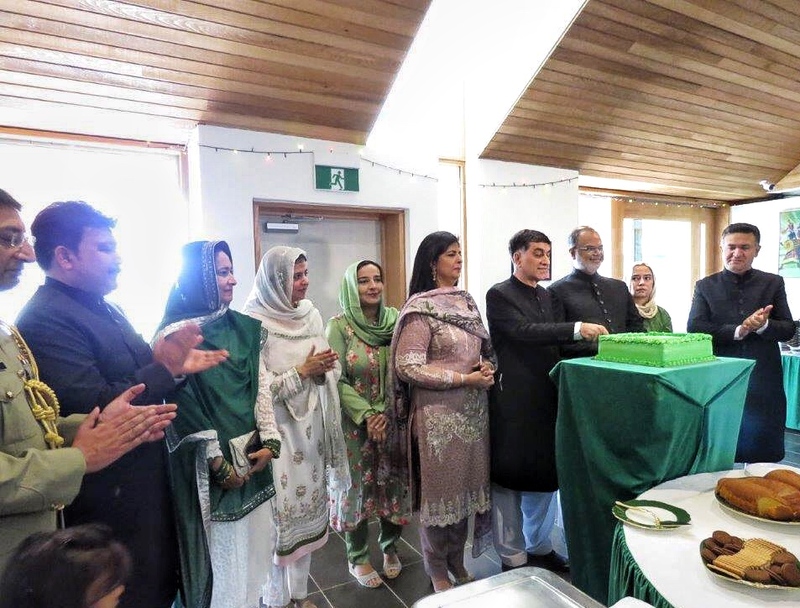 Pakistan High Commission in collaboration with Bazm-e-Adab Canberra organised a function at the Chancery to commemorate the 141st birth anniversary of the Poet of the East, Doctor Allama Mohammad Iqbal. 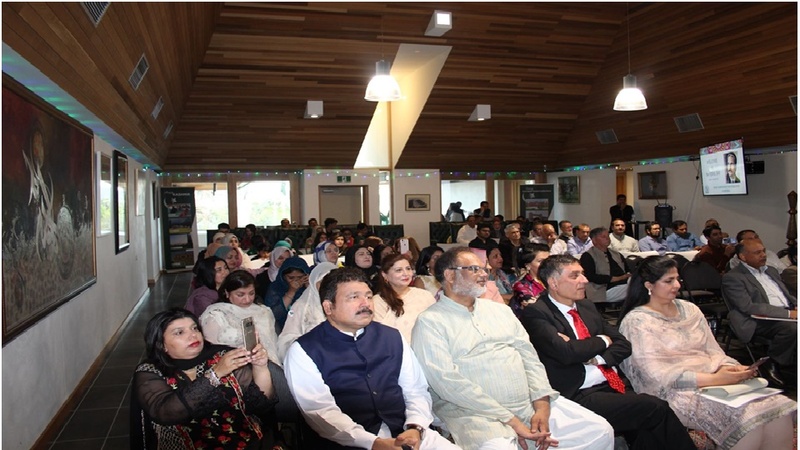 Many members of Pakistani community attended the event. Prime Minister Imran Khan’s message for the Iqbal Day was relayed for the audience. The High Commissioner, Babar Amin in his remarks stated that Allama Dr. Mohammad Iqbal is the ideological founder and national poet of Pakistan. Iqbal rekindled the quest for independence and separate homeland among the Muslims of South Asia through his poetry and philosophy. His inspiring poetry greatly bolstered the self-esteem of the Muslims which had dampened under the colonial yoke. The High Commissioner also cited various verses from Iqbal’s poetry in this context. He further added that Iqbal’s message is Universal for he advocated progressiveness, peace and harmony in the world. Religious scholar, Adama Konda of Burkina Faso, the Imam of Canberra Islamic Centre, in his remarks stated that Iqbal’s poetry and philosophy has wide influence in Africa as well. Iqbal, he said is a poet and thinker whose vision is going to stay for all times to come. Imam Konda highly lauded the services of Iqbal for reconstruction of religious thought in Islam. He added that, Iqbal’s message is of eternal hope, prophetic love and devotion. Speaking on the occasion, Mr. Nadeem Shaikh, President of Bazm-e-Adab Canberra and Dr. Naimat Cheema from Melbourne highlighted that Iqbal’s works while focusing on the spirituality take a pragmatic approach towards development of human society. His legacy remains strong even beyond Pakistan and he is widely regarded to have inspired several movements across the globe. Iqbal’s thoughts and poetry have made him a cultural icon for many around the Muslim world especially in Turkey, Iran, Afghanistan, Central Asia and even in middle East and North Africa. His revitalizing philosophy has inspired many leading figures in the Muslim world. Dressed in vibrant colourful clothes, children of different ages presented skits and tableaus based on stories portraying Iqbal’s messages. The children also enthralled the audience with national songs and verses from Iqbal’s poetry. High Commissioner Babar Amin met with Ms. Jenny Bloomfield, State Director, DFAT State Office Victoria, Melbourne, today. During the meeting, High Commissioner discussed with his interlocutor, Pakistan-Australia relations, potential for cooperation at the province-state level and consular matters. 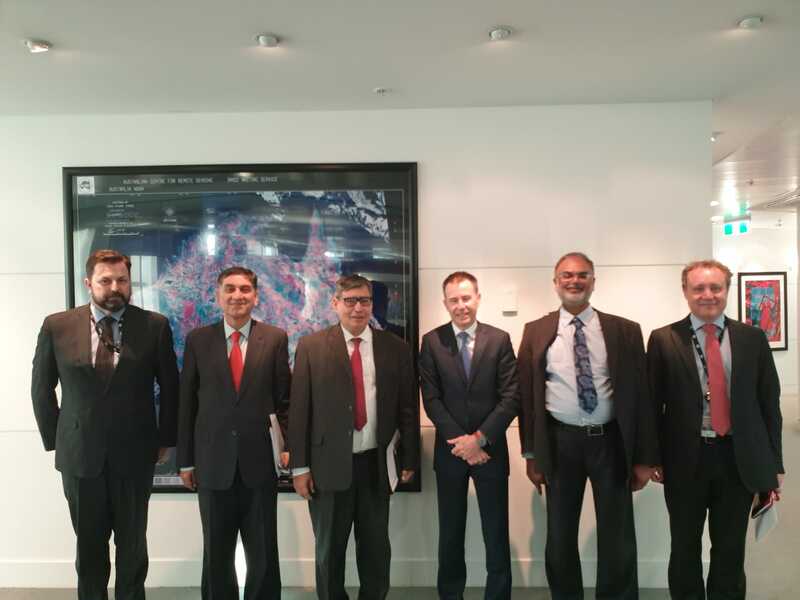 High Commissioner highlighted trade and investment opportunities Pakistan presented and encouraged Australian businesses to make use of various incentives offered by the government of Pakistan. He stated that there was significant scope of cooperation between Pakistan provinces and Victoria in the fields of education, science and technology, and tourism. He stressed the importance of institutional linkages in this regard. High Commissioner underscored the contribution of Pakistani diaspora to the multiculturalism and economic development of Australia. 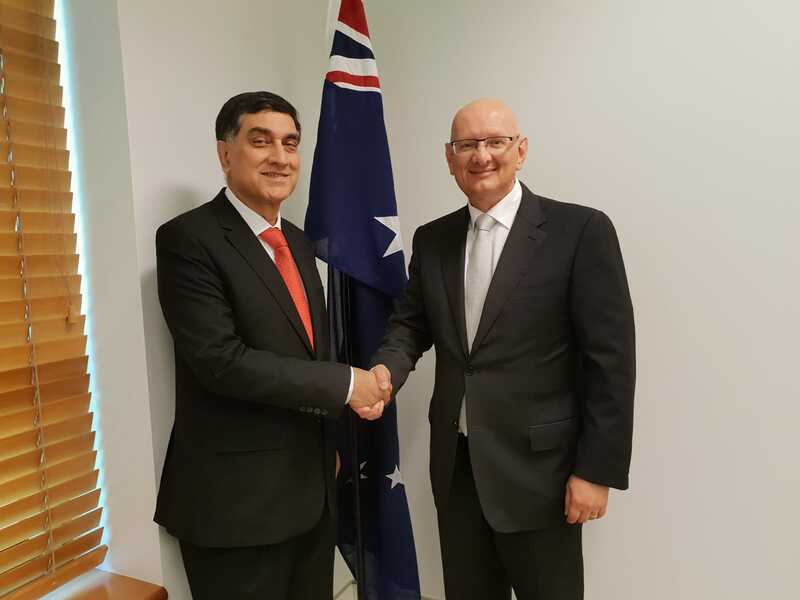 Ambassador Bloomfield while welcoming High Commissioner to Melbourne, stated that Australia attached great importance to its relations with Pakistan. She also welcomed the opening of Pakistan’s Consulate General in Melbourne and offered her office’s full support in facilitating its working. The High Commissioner reiterated the invitation by the Chairman, Senate of Pakistan, to the President of Australian Senate and Speaker of the House of Representatives to participate in the Meeting of Asian Parliamentary Assembly(APA)’ Standing Committee on Political Affairs in Gwadar on 29-31 October 2018. The High Commissioner conveyed desire of the Government of Pakistan to further strengthen cooperation between the Ministry of Interior and the Department of Home Affairs of Australia. Appreciating the strong security cooperation between the two countries under the Joint Working Group on Border Management and Transnational Crime, the High Commissioner stated that Pakistan looked forward to its next meeting in Canberra. 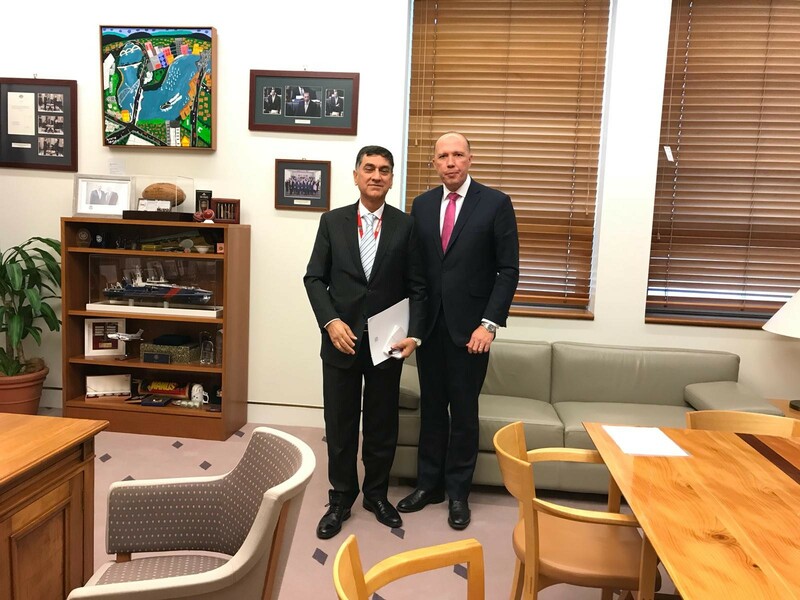 He also raised the consular matters pertaining to the Pakistanis in Australia and visa difficulties faced to Pakistani students and businessmen. The Minster for Home Affairs stated that Australia attached great significance to its relations with Pakistan including in the areas of combating transnational crime and border management. He expressed the desire to further strengthen pragmatic cooperation particularly under the domains of security, counter terrorism and combating sophisticated crimes. The Minister also assured to look into the delays in visas to the Pakistani students and businessmen.